We have eight games of football on Saturday, the day ending with Leicester City vs Tottenham Hotspur. The home side has more than a month since its last defeat, while Tottenham will try to keep in touch with the first two positions, occupied by City and Liverpool. We’re up for a thrilling encounter, with both teams wanting the victory. Last season, both have won their home games, Leicester with 2-1 and Tottenham 5-4. The Foxes have seven consecutive matches in all competitions without a defeat and that led to a quarter-final presence in the Carabao Cup and a 9th position in the Premier League after 15 matches. Leicester City has accumulated 22 points, with a 21-18 aggregate. Mid-week, Claude Puel’s men have recorded a draw against Fulham, on the road, 1-1. Kamara opened the score for the hosts in the 43rd minute, but Maddison restored the balance in the 74th minute. The most expensive player the Championship ever had to offer, Maddison is proving his class week by week. This draw came like a truce between Leicester and former manager Claudio Ranieri, the man who made history on the Foxes’ bench. Vardy was absent from this duel, with a groin injury, and won’t come much of a surprise if he skips the next game too. Evans is also injured, and with Maguire just returning to training, it leaves Puel no other choice than to start Soyuncu once again. At home, Leicester has conceded just six goals in seven games this Premier League season. After games against Chelsea, Inter and Arsenal in just 10 days, Southampton came like a perfect fit for Tottenham Hotspur. Pochettino’s men won mid-week, at home, 3-1, and moved to the 3rd position in the Premier League rankings, with 33 points in 15 matches, 28-16. As a side note, the Spurs are the only team in the league that hasn’t yet reported a draw. Trippier played Southampton, but Aurier could be up for a start, as the English international is in no condition of playing two games in just three days. Vertonghen should be back in the starting line-up after a one-game suspension, but remains unclear who’s the central defender he’ll be replacing. Lamela, Sanchez, Dembele, and Wanyama are out injured. 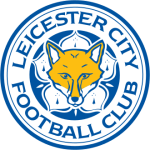 The game takes place on King Power Stadium, Leicester, Saturday, kick-off at 19:45. 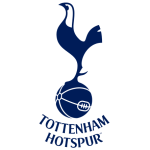 Leicester City – Tottenham Hotspur counts for game week 16 of the Premier League. At Bethard, the hosts have 14/5 odds for a win, while a draw comes at 51/20 odds. A Tottenham victory can be played with 1/1 odds. Tottenham has had a rough two weeks, but luckily Pochettino has a well-balanced squad and despite some injuries, he was able to rotate some of his players. Kane, with nine goals this season in the Premier League, has been a constant presence in the starting line-up, so we’re picking him up as our first option. The striker to score anytime, 83/100 odds. Leicester has conceded very few goals at home, but Tottenham is a team that creates opportunities to score. It won’t come as a shock if the visitors grab at least one. BTTS is worth betting at 16/25 odds. Our final prediction is over 2,5 goals, 19/25 odds. We expect to see an open contest, with both teams wanting to score in order to get all three points. As a conclusion, we have three predictions for the Leicester City – Tottenham Hotspur contest – Harry Kane to score anytime, BTTS, and over 2,5 goals.